NOTE:Preview Distortion in "full view mode" in regards to navigation, ect.. 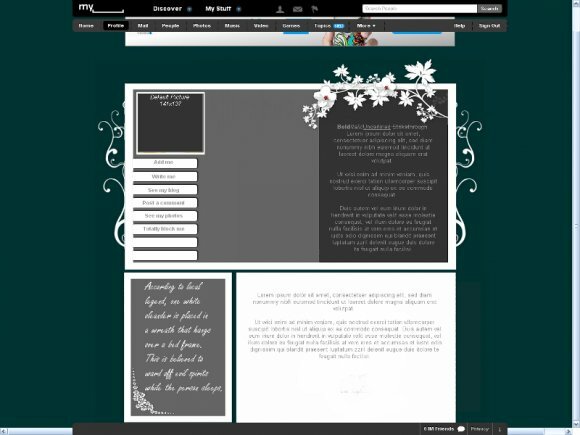 The image is what the layout actually looks like in Google Chrome and IE8. Looks strange in FF. If there are any problems feel free to comment me here! I want to get rid of the spammers leaving comments here but for some reason they're comments won't delete :| So irritating. a job well done dear!!! !..